Grade: 6063, 6061, 6060, 6005, 6005A, etc. 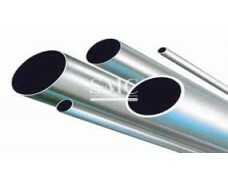 In our daily life, the Anodized Aluminum Tube is widely used in construction, automobile and other industry. 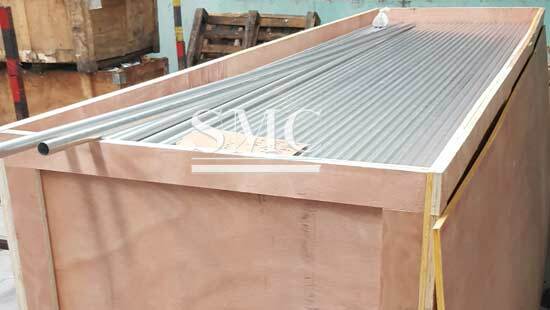 1) Lightweight and durable: due to the lightweight materials aluminum, aluminum bars are designed with hollow cavity and rational living should reinforce the use of this material will reduce the load of the whole project. 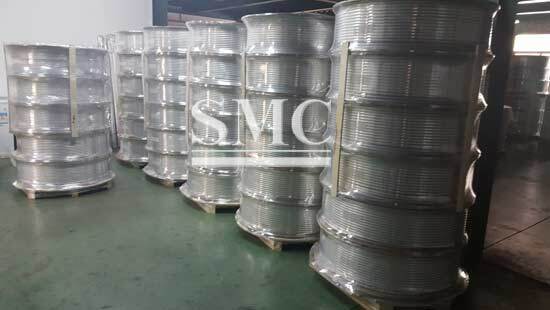 2) Resistant to vibration, compression, good impact strength and high safety. 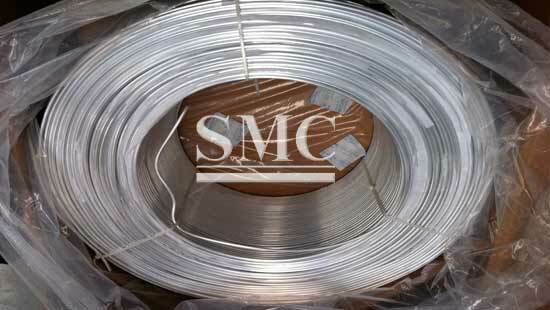 3) Sound insulation, heat insulation: the insulation product, the aluminum profile are separated by high insulation strips polyamides. 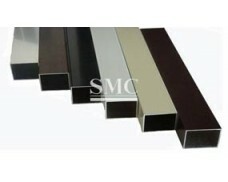 Along with EPDM gasket system and hardware accessories synchronization, thereby calculate the sound insulation high. 4) They are aesthetic: aluminum door wide, luxurious, connect and expand the space, creating the overarching vision for the room. 5) Economy in use: cost of electricity use and easy to clean maintenance window. 6) Consistent with the limited open space outside. 7) Flip open mode to ensure ventilation in the room but remain discreet and avoid splashing rain, winds die, and does not affect the layout of furniture near the door as curtains, table lamps, etc. with the advantage of deluxe outlook, good energy-saving feature. 1. 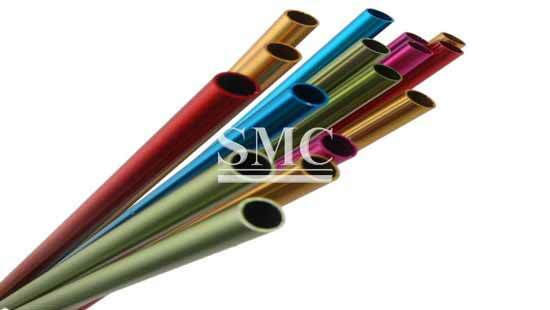 Q: What are the Benefits of Anodizing? Durability. Most anodized products have an extremely long life span and offer significant economic advantages through maintenance and operating savings. 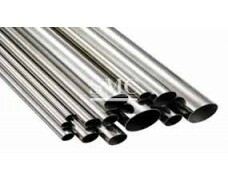 Anodizing is a reacted finish that is integrated with the underlying aluminum for total bonding and unmatched adhesion. Color Stability. Exterior anodic coatings provide good stability to ultraviolet rays, do not chip or peel, and are easily repeatable. Ease of Maintenance.Scars and wear from fabrication, handling, installation, frequent surface dirt cleaning and usage are virtually non-existent. Rinsing or mild soap and water cleaning usually will restore an anodized surface to its original appearance. Mild abrasive cleaners can be used for more difficult deposits. Aesthetics.Anodizing offers a large increasing number of gloss and color alternatives and minimizes or eliminates color variations. 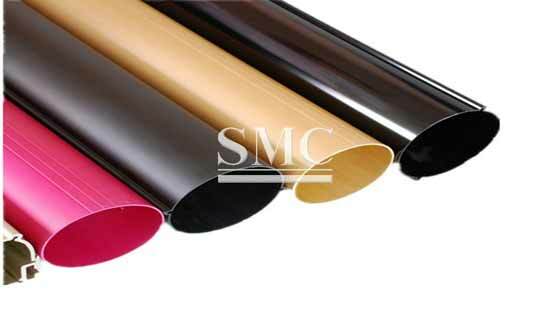 Unlike other finishes, anodizing allows the aluminum to maintain its metallic appearance. Cost.A lower initial finishing cost combines with lower maintenance costs for greater long-term value. 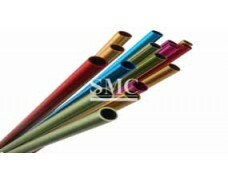 Since the anodizing process is a reinforcement of a naturally occurring oxide process, it is non-hazardous and produces no harmful or dangerous by-products. 2. Q: Are the prices the same for all the colors with same surface treatment ? 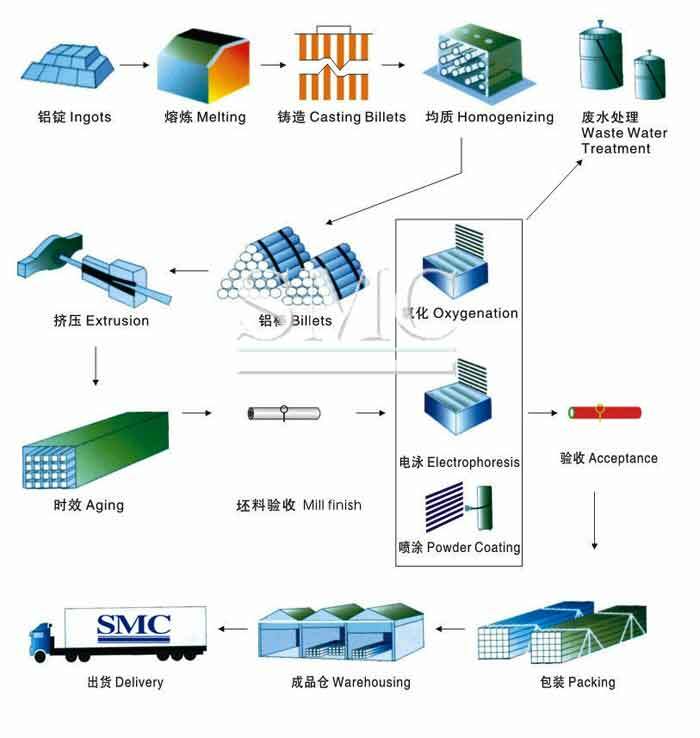 R: Not yet, about Powder coating, the bright-coloured will higher than white or gray; about the Anodizing, colorful will higher than silver, and black higher than colorful. 3. Q: What is the main market? R: Our main foreign markets are Asia, Africa, America, Europe. 4. Q: Which way do you calculate the weight by? R: We calculate it according to the theoretical weight or the actual weight, it depends on the clients requirements.